(JACKSON, Miss.) – The Mississippi Department of Environmental Quality (MDEQ) issued a water contact advisory Wednesday for several streams near Taylorsville. 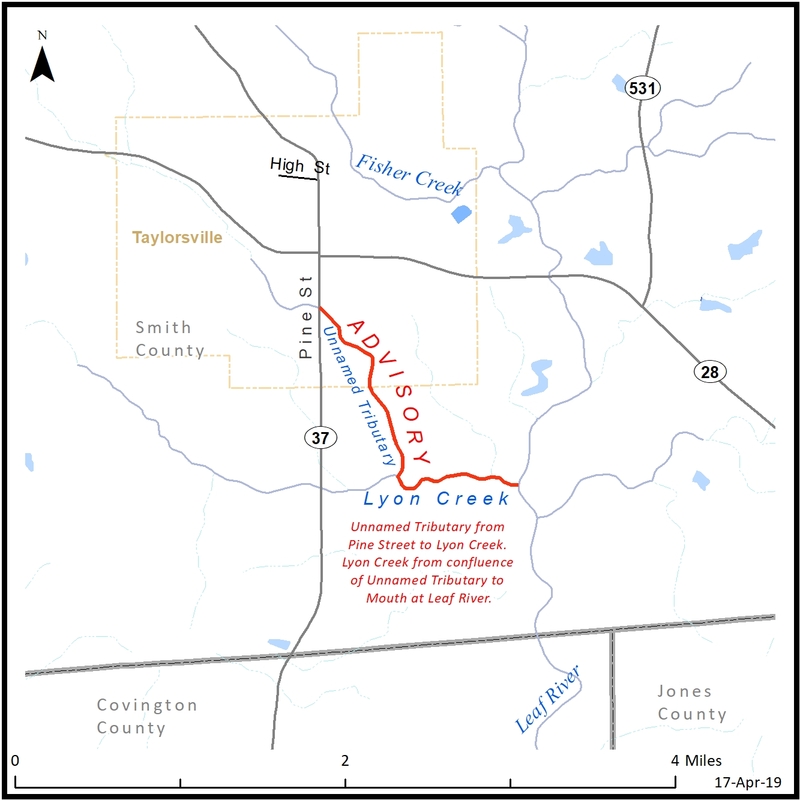 The advisory is issued for an unnamed tributary of Lyon Creek where it crosses Pine Street to the confluence of Lyon Creek with the Leaf River (see attached map). The advisory is being issued due to an ongoing bypass from a sewer line, and the city is currently working to repair the line. MDEQ staff will collect samples and monitor the water quality in the area and will revise the advisory as needed.